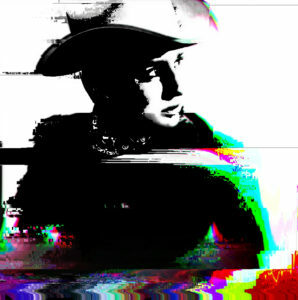 Artist Jon Cates will be discussing his film, the first glitch western, called 鬼鎮 (Ghosttown). Jon’s film is an experimental narrative starring three main characters: a lone cowgirl making her way out west across the American imagination; a young Taiwanese warrior goddess from Gold Mountain and a nonfiction aspect starring Sierra Begaye, an indigenous Native American from the Dine (Navajo) Nation. Jon shot the film extensively on locations in Nebraska during the summer of 2017. Jon Cates is currently an Associate Professor at the School of the Art Institute of Chicago (SAIC). He received his BFA in Studio Art from Illinois State University (Bloomington/Normal) in 1997 and his MA in Media Art Histories from Danube University (Krems, Austria) in 2009. He was the first graduate to receive the first international Media Art Histories Masters degree. Jon’s art has been featured all over the world such as places like Hong-Gah, Taipei, Vienna, and many more. This informational artist talk is free to the public and is going to be hosted at the Norfolk Arts Center. Times for this event are TBD. Sage Allen at sage@norfolkartscenter.org, or call the NAC at 402-371-7199.